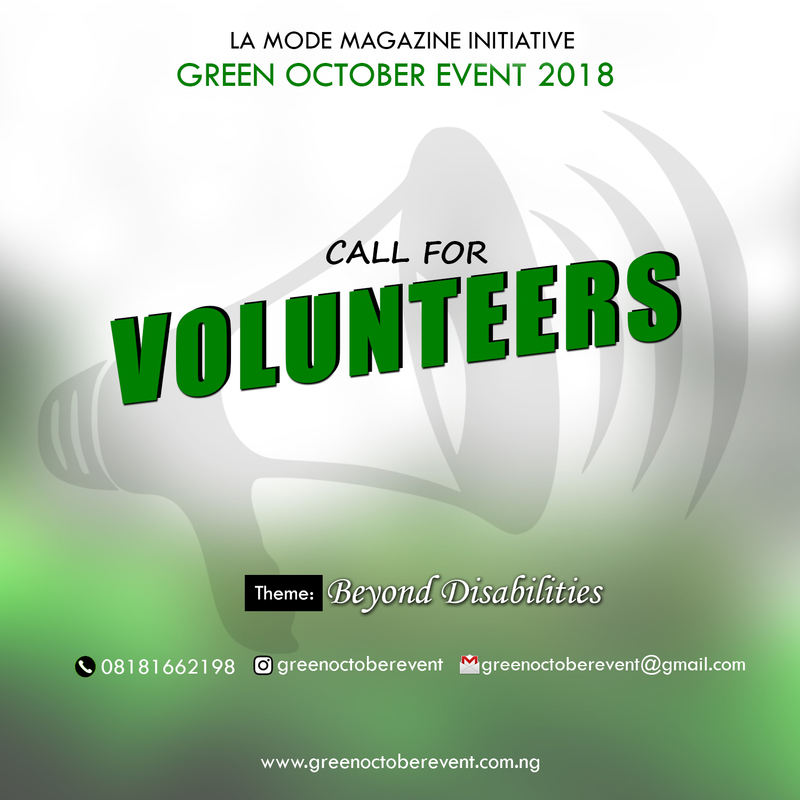 La Mode Magazine is calling for individuals who would like to offer their help as volunteers for the Green October Event 2018 edition tagged “Beyond Disabilities” to send in their details as plans towards the event has commenced. Send your name , whatsapp enabled number and area you are volunteering to greenoctoberevent@gmaol.com subject should be the area you are volunteering. Rubis Wine Official Sponsor For La Mode Magazine Green October Event 2016! Photos : Osas Ighodaro’s Bachelorette party!